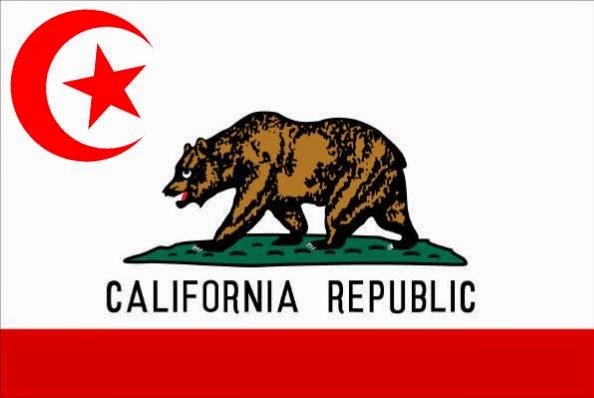 SAN NARCISO, Calif. (Bennington Vale Evening Transcript) -- By now, people on the west coast of the United States know that many segments of Southern California have fallen under Muslim rule. On Monday, the elite team of Islam experts at Fox News released a map from the Clarion Project identifying at least eight U.S. states that have been toppled by regimes bent on imposing Shari’a law. These enclaves, which until now had plagued only isolated cities across the United Kingdom and France, have spread to California, Texas, Michigan, New York, Virginia, Tennessee, South Carolina and Georgia. Outside police are forbidden to enter, and extremist religious prohibitions have replaced our once liberty laden constitutional freedoms -- rules enforced by armed jihadists who patrol the enclaves. Still, the fact remains that Southern California endures as a tourist mecca, the home of Hollywood, trendy beachfront communities and the Magic Kingdom. So how does a visitor safely navigate between famous attractions and no-go zones? Here is a simple traveler’s guide, based on extensive Fox News research, to help you return home with your head attached. Of course, no trip to SoCal would be complete without a day spent enjoying the wonders of Walt Disney’s iconic amusement park. Unfortunately, this has now become one of the most infamous and dangerous no-go zones in the region. Walt Disney once said of his animation and theme park empire, “It was all started by a mouse.” Today, we’re reminded that the Black Plague was, too. California is rife with anti-vaxxers, and the jihadists know this. The state’s become a hotbed for parents who have grown hostile about government mandated vaccinations. These are well-educated, upper-middle class, mostly white parents who believe that avoiding infection is an individual responsibility -- one that can be successfully achieved by feeding their children organic food, monitoring who they spend time with and raising them to be responsible decision makers like themselves. In reality, however, this attitude has accomplished little more than allowing Islamic extremists to release a weaponized biological agent in the Happiest Place on Earth. If you’re planning a pilgrimage to Disneyland, be prepared to pay a hefty tribute for entrance, akin to the taxes levied by Muslims during the Crusades for admittance to the Holy Land. We also recommend wearing appropriate religious garments in adherence to hajib, particularly for women: burqas, khimars, chadors, boushiyas, niqabs, taqiyahs, fezzes and the like. 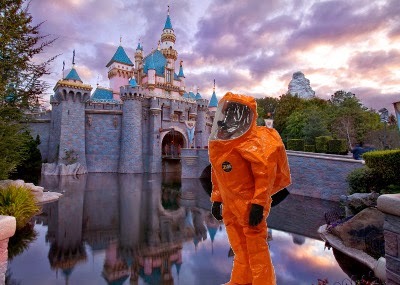 In lieu of vaccinations, hazard suits are also encouraged. The City by the Bay is a place of art, history, diversity, meshing cultures, personal expression and unique charms. To experience all this, be sure to stick exclusively to tourist-friendly areas: Pier 39, Golden Gate Park, Lombard Street, the Presidio and Powell Street. Avoid at all costs Alcatraz Island. The former prison is now being used as a fortress and rendition center by the jihadists who control the city’s no-go zones. A trip to this landmark won’t cost you an arm and a leg, but it will likely cost you your head. For art and science lovers, visit the Contemporary Jewish Museum and Academy of Sciences at your own risk. Both, while not strictly off limits to Westerners, are often targets of suicide bombings. The latter because it promotes blasphemous lies about the creation of the world through scientific principles, and the former because Zionist infidels generally frequent it. 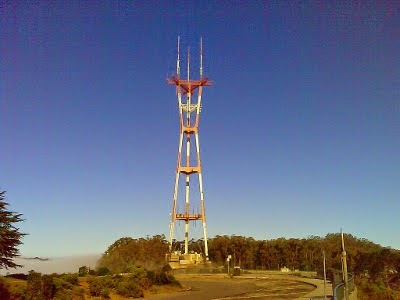 Standing at 298 meters, Sutro Tower pictured above is the largest minaret in California. For the most part, Irwindale doesn’t have a lot going for it in terms of tourism. Racing enthusiasts will enjoy the Irwindale Speedway. And the city is completely free of no-go zones -- that is until between April and May of each year, when the community hosts a festival to commemorate darker, more medieval themes in history. 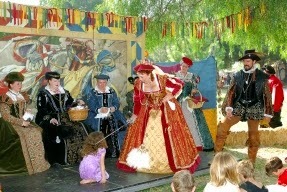 Like Shakespeare’s use of the word “comedy,” the “pleasure faire” might not be what you’d expect. Unless you’ve converted to Islam and understand fully the price of that membership, avoid this area in spring. If you need more compelling reasons, check out this photo, taken from Los Angeles County government archives, which shows a recent Muslim convert preparing to behead an infidel girl-child. What was once known as the Inland Empire has now become the Inland Caliphate. More derogatorily called the Valley of the Dirt People, Riverside County conveys a sense of home to Muslim terror groups who have traveled to America from the Middle East. Its vast dried-up lake beds, arid climate and sparse desert vistas make it the perfect home-away-from-home. Of course, most SoCal residents already avoid this community like the plague, or the homeless. And those who were unfortunate enough to relocate there during the housing boom continue to search for a way out, albeit in vain. Here’s a pre-Islamic invasion fun fact: there’s a Groupon "Bucket List" featuring 365 things to do in the Inland Empire before you die. That’s like advertising a bucket list for the 100 best vending machine selections to try in a trailer park before you give up the ghost. Honestly, most Golden Staters confess that they couldn’t get through 365 things in that area without contemplating suicide. But the bleak and barren landscape, Kafka-esque strip malls that shelter meth complexes, grotesque cuisine and dilapidated biker communities -- like the forbidden and accursed ruins of H.P Lovecraft’s rural New England -- aren’t what make Riverside the ideal Islamic stronghold. 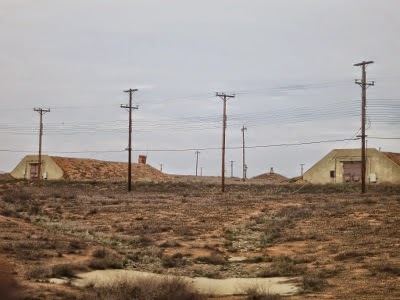 The county is home to March Air Force Base, a strategic military installation that now funnels weapons and deadly resources to the jihadists in charge of the region. Fox News also reminds us that whites are the minority population there, only 32 percent, which has made the ISIS occupation of Riverside a simple feat. It’s hard to imagine visiting Los Angeles and not seeing the bright lights and big stars of the movie industry’s capital. But you should probably try very hard to imagine it. 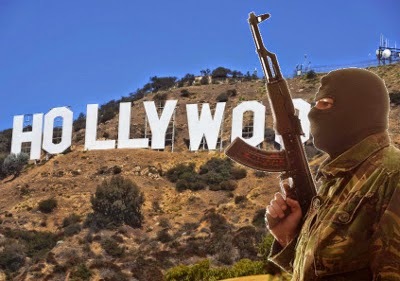 To be clear, Hollywood has not been subjected to Islamic occupation or indoctrination. It remains the festering nest of vipers it always has been -- a town seething with ill-gotten wealth, self-entitlement, exceptionalism, narcissism, greed, phonies and backstabbers. Not only does the city typify immorality, gross opulence, unholy decadence and greed (well, all seven Deadly Sins, really), it’s run by a powerful cabal of Jews. Jews control the local government. Jews run the film industry. Jews own all the shops. Jews game the system, star in the movies, manipulate trade and lord ruthlessly over the banks. Not even the influx of overly perfumed, rich Persian industrialists has put a dent in the shadowy Zionist conspiracy that looms over the city like an oppressive shofar, ready to blast the dreadful tones of battle. And battle it will undoubtedly be. Based on Fox News reports, we have every reason to believe that when the Holy Wars begin -- pitting Jews and Christians against Muslims -- Hollywood will be ground zero. And nobody knows when. Only an awful God and His anointed prophets. Even on that fateful date, one might easily miss the event. With every passing hour, life in Hollywood deranges and disengages any semblance of normative behavior. So to be safe, simply skirt the city on your travels through the state. Otherwise, enter at your own peril -- as aspiring young artists from other states do.